Cinnamon sticks are obtained from the inner bark of trees from the genus Cinnamomum. Two types of cinnamon are available in India: Cinnamomum verum (referred to as Ceylon cinnamon) and Cinnamomum cassia (referred to as Chinese cinnamon). The more expensive Ceylon cinnamon, which has a mild and sweet taste, is more suited in baking and for desserts, and Chinese cinnamon, which has more of a spicy taste, is used in savoury dishes. 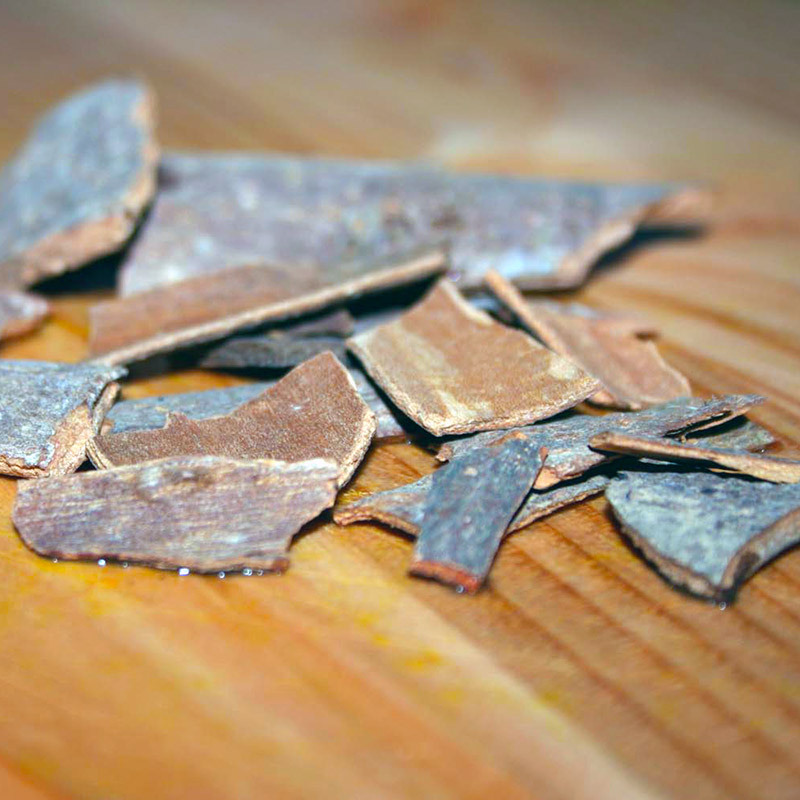 Cinnamon Cassia bark is from the outer bark of the cassia tree. It has the flavour of the cassia stick, but isn’t quite as pretty. Also known by the name Dalchini. Cinnamon should be stored in an airtight glass container in a dark, cool place. Cinnamon will stay fresh for about a year when stored like this, and even longer if the glass container is placed in a refrigerator.